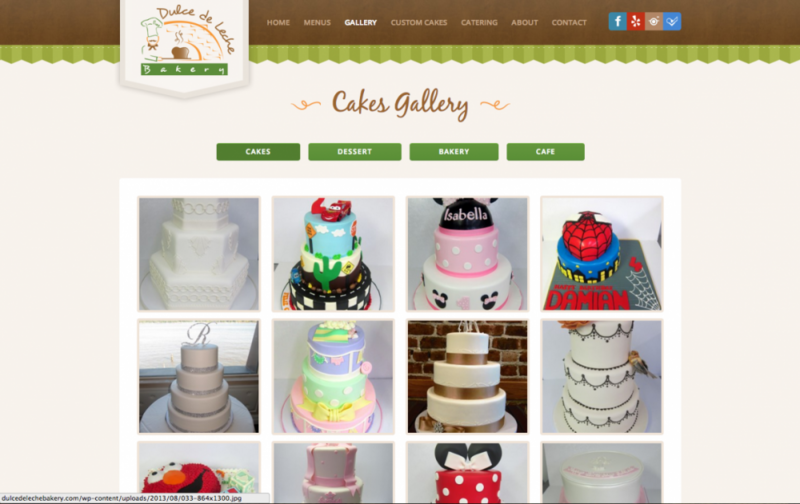 Dulce de Leche is an Authentic Argentine Bakery and Cafe and also specializes in custom cake design. For this project, we made sure that the owner would easily be able to update and maintain menus and photos of the different bakery items offered. The site is built on the WordPress CMS and features beautiful, large images and custom forms so that customers can easily inquire about custom cakes and catering.